Kudos is brought to you by all of my colleagues and friends in the wine business… for whom I am most grateful. Jo is the wine publicist from heaven! She is masterful at getting the word out and making the impossible happen… really. Jo and I worked together for years and enjoyed much success and fun together. stanthewineman ~ Seattle PI ~ Public Relations, Media & Wine… A Tricky But Necessary Relationship. I want to wish you lovely ladies a happy holiday season! I’m very grateful for all of the support I have received from you all since Alana Gentry invited me to join this group over two years ago. Whenever someone asks me how I got Wine Oh TV off the ground I credit this group and women like Jo Diaz who have made such a meaningful impact on my wine filled world. Cheers to all of you and to a safe and successful New Year! Julia Child embodied this same esthetic. She could hold her own with wine snobs, especially with French wine, but she chose to emphasize a different approach, one that was more egalitarian, that could laugh at pretentiousness… What’s more interesting is when people who know a great deal about wine relax and refuse to take it that seriously. They know that there are more important things in life, that wine is there to help us slow down and get in touch with our souls. I think of this as the feminine esthetic toward wine, and we see it around us today, in the careers of women as varied as Leslie Sbrocco, Jancis Robinson and Jo Diaz. Jo Diaz is actually quite an inspiration… I’ve watched her work really hard through the years and am excited to see her success. She has also been a wonderful friend and mentor to me. Jo Diaz is the best! She is one of the wine world’s top advocates! We got turned on to the good folks at Carmim by wine maven Jo Diaz, who has her purple fingers involved in a number of causes, including championing Petite Sirah (p.s. I love you), supporting Oregon Pinot Gris and also assisting Wines of Portugal in its quest to bring Portuguese wines to the U.S. Throwing Jo’s name around was like flashing Willy Wonka’s Golden Ticket, only the doors that opened for us were filled with wine, not chocolate. And I’m talking lots of wine. A few weeks ago, I was asked by Jo Diaz if I would be interested in taking a Petite Sirah tasting journey. Jo is Executive Director of the Petite Sirah advocacy group PS I Love You and an all-around great woman who is truly passionate about wine. I first met Jo, who worked the wine business before founding her own communications company in 2001, at the ‘PS – I Love You’ symposium in Livermore circa 2010. The event, which continues to grow, is all about the little grape that could, Petite Sirah. Jo has been a leading wine figure here in Northern California in raising its profile. Her husband Jose, whom I’ve not yet have the pleasure of meeting, is also a luminary in the local wine scene, and I often see his posts on my Facebook and Twitter streams. Jo’s blog covers the gamut, from interesting wineries she’s visited and winemakers she’s talked with to people she’d like to have dinner with (Michael Chiarello – to which I say, be sure to bring some Stella) and the ins and outs of sustainable viticulture. There’s a warmth to her writing; spend some time on ‘Juicy Tales’ and you might feel as if you’re chatting with Jo over a glass of Concannon Petite Sirah (of course!). Jo, I’ll never be able to express in English how I admire your writing skills. Jo Diaz is one of the wine industry’s most respected publicists. She began her career in the wine industry in 1992 working with some of the industry’s largest and most progressive wineries. She opened Diaz Communications in 2001 and has since become a go-to publicists for numerous wineries, associations and wine industry services. Jo is also the founder of the Association of African American Vintners and PS I Love You (Petite Sirah advocacy). Finally, she pens one of the most important business-related wine blogs. Greg Lint, president of Oak Knoll Winery who is no stranger to developing new marketing concepts was keen to pull everyone together to share the knowledge. Greg’s decision to seek the help of Jo Diaz of Diaz Communications was a wise move. Jo started the hugely successful “P.S. I Love You” campaign in California to bring more attention to Petite Sirah. Her efforts in that campaign have clearly been successful. Have you purchased a bottle of good quality California Petite Sirah lately? They are getting pricy. At the feedback session, everyone rated the meeting with you very highly and, in fact, it was one of the highlights of the whole program! It was very eye-opening for the delegates to see that they can promote a specific varietal wine , in addition to their regions/countries. It’s not cricket to start a blogpost with a diversion, but I have to tell you how much I admire Jo Diaz. There’s more than one blogger with a stick up their derriere, but she is not one of them. Among other things, she is a tireless supporter of the varietal Petite Sirah, and she is simply wonderful at that. The latest lauded Petite Sirah tasting in Alameda, “Dark & Delicious”, was by all accounts a great success…. Congratulations on your new clients. You do the best PR. California-based wine publicist Jo Diaz might be called the éminence Gris behind the initiative. She has spent a decade championing Petite Sirah through PS I Love You Inc., an incorporated entity that started with 10 members and claimed 90 members in its 10th year. State-wide marketing in Oregon has been essentially rudderless until recently. Jo Diaz’s small but important, privately-funded effort to promote Oregon pinot gris strikes me as not only focused but sensible. It has a clear goal, a reasonable objective, and the chance to break the state out of its one trick pony image. If you don’t know much about Pinot Gris from Oregon, brace yourself; it’s about to get Real in the West Coast vineyards. Well known and even more respected wine guru Jo Diaz has spearheaded the launch of a wine marketing group focused on the white wine grape variety. 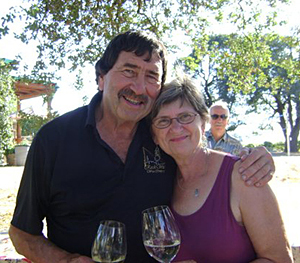 On Facebook: Happy birthday to Jo Diaz – one of the wine industry’s best and brightest. She’s a friend to many! Jo Diaz, on her Juicy Tales blog, announces the long-awaited follow-up to last summer’s Oregon Pinot Gris symposium, for which I was the keynote speaker. Diaz, certainly one of the most successful and savvy wine marketers on the west coast, is launching a group whose mission will be “to better define Pinot Gris in Oregon” (see previous posts in my blog for more on the symposium). Charlie to Marlene: Do I know Jo Diaz? Am I breathing? Have I been writing about wine for several decades? Jo Diaz is my model for persistent enthusiasm. Love her. Wineries up and down the state [California] now are making varietal Petite Sirah wines. And a promotional organization, P. S. I Love You (www.psiloveyou.org), which was founded in 2002 with 39 charter members, has more than doubled to 81 winery members in 2011. I think it’s fair to say that organization and its founding director, Jo Diaz deserves much of the credit for the grape’s growing popularity. Jo, if ANYONE can do the job, it is you! Jo Diaz, wine publicist extraordinaire and the brains behind PS I Love You, writes a wine blog simply titled ‘Wine Blog’. Not only is she an industry veteran, she’s smart – and a really nice lady. My name is Brian Showalter. Jo Diaz of the Wine Blog refers me to you. “As you know, Jo featured our song, “California Wine” on her blog a few days ago…. 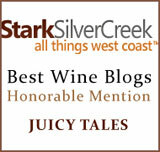 Wine-Blog – Juicy tales by Jo Diaz ~ sometimes serious often hilarious and always informative. In 2002, the P.R. company, Diaz Communications, began their effort to resurrect Petite Sirah on behalf of the then 60 growers and producers who still stood by it. Through relentless promotion, Jo Diaz and her husband, Jose, broke through the public’s and the critics’ indifference, and put Petite Sirah back on the map. 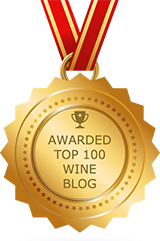 So what wine blogs, in addition to WineBizNews, of course, should you follow if you want to delve into the wine world more thoroughly. 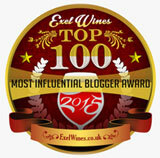 That is to say: which of the 13,000 wine blogs are worth your time? The list below is highly subjective and cut-to-the-bone for this column. 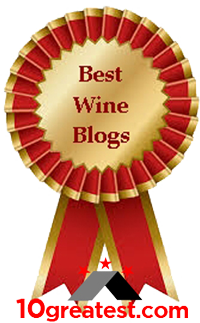 I follow 50-60 wine blogs, and it is a rotating and constantly changing list. Jo Diaz (www.wine-blog.org) is from the wine public relations field, yet she is as free and independent as any wine journo! Jo would do her blog, even if she wasn’t in the biz because she simply loves wine and the culture of wine as a lifestyle. She is a good source for information about issues related to wine, and she champions those causes she truly believes in. Well worth a visit! Top picks for navigating the sea of wine on the Web (4/26/10) ~ Wine-blog.org. PR veteran Jo Diaz, founder of PS I Love You, which promotes petite sirah, runs this excellent blog, subtitled “Juicy Tales.” Lots of blogger interviews and commentary with a marketing focus. I’ve found your blog in a roundabout way through, although I hate to admit it, a quick Google for the correct spelling of my publisher, Elliott Mackey! I love your approach and what I’ve read so far, and will be reading more. I wanted to commend you on your testimonials, which I always think are important and say a lot about a person. Your personal favourite is also mine – your daughter’s protestations on FB about your need to attack the yard without help! Wonderful! Thanks so much for you comments. I really appreciate them… In some ways, it’s hard to post testimonials. They seem so self serving, on one hand; on the other, this is the only kudos that i get, as a private contractor. My clients, as long as they’re willing to pay the invoices, do say a lot; but, it’s silent and I’m always guessing. Happy holidays, to you, too! Also, just yesterday I was asked if I could direct someone to a resource for how to import wines. Kismet! I’ll send her to your blog and suggest that she buys your book. Actually, you’re a great candidate for an interview… I’ll Email you. I’ll write about this one, Justin. Good question. I always enjoy your personal perspectives on a daily basis through your Blog. Your intuitive views and background information provide new perspectives to me within our wine industry! Keep up the great work! That’s so cool, Ron. Thanks so much! Thanks for letting me know, Ron. I appreciate your thoughts… very cool.